The GBMoto Honda British Superbike team have completed a successful shake down test at Snetterton ahead of the official British Superbike tests, starting next Thursday. 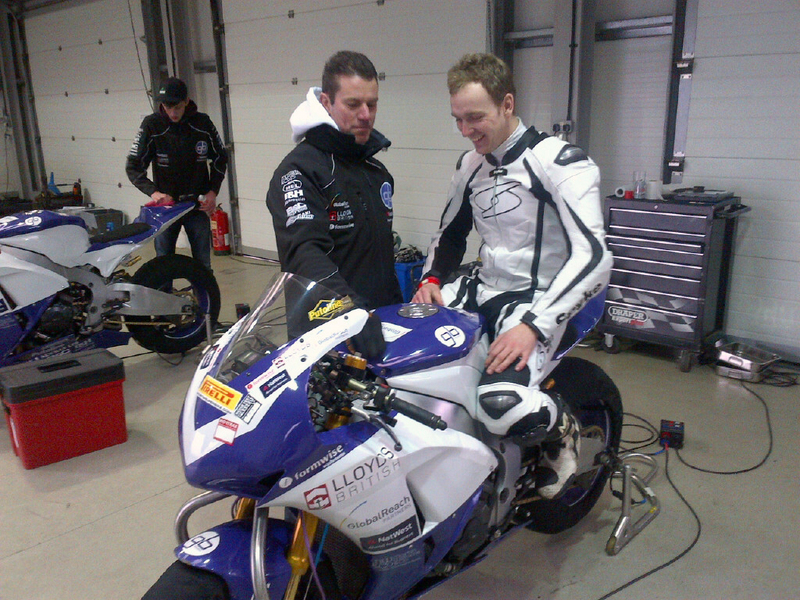 Once the fog on the Norfolk circuit had lifted, both debuting riders, Peter Hickman (who had just flown in from Italy…) and Dan Linfoot spent the day sorting out positioning on the bike prior to the beginning of the official BSB tests. The British Superbike Championship will begin its ‘official’ testing regime on the 14th of March, at Donington Park. All key test and race meeting dates for BSB can be found here. Previous Previous post: Effenbert to make World Superbike return?